I have contributed to the sound world of Buffer Overrun, a new work by Ginger Krebs. The sound design includes an original multi-channel score that utilizes sophisticated technologies and their meaningful noise. It runs February 4 -7 at the Chicago Cultural Center’s Store Front Theater. Buffer Overrun, the newest work from Ginger Krebs, addresses information as a liquid and mobile force that tends to erode the importance of place. It explores ways that bodies orient toward multiple, shifting centers, and wonders at the consequences of this contemporary form of vertigo. The choreography and sound incorporate phase shifting, slow motion, structures based on code, and spiral patterns derived from optical illusions. In the midst of acceleration and overwhelm, Buffer Overrun marvels at human adaptability and contemplates patience as something revolutionary. 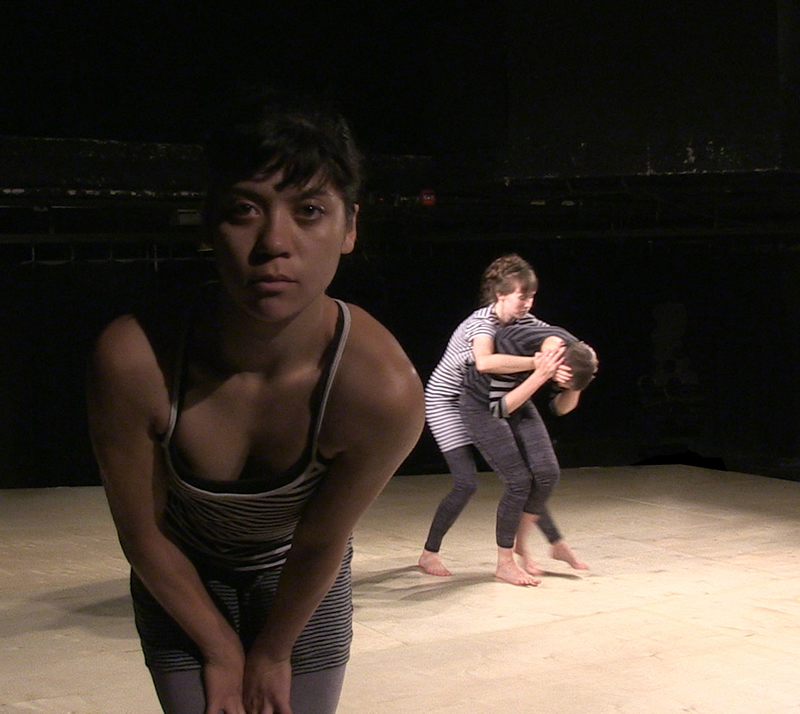 The performance is directed by Krebs with sound design by Joseph Kramer and dance performance by Sabrina Baranda, Elise Cowin, and Joanna Furnans.